I saw this restaurant and followed the color in to take this photo. 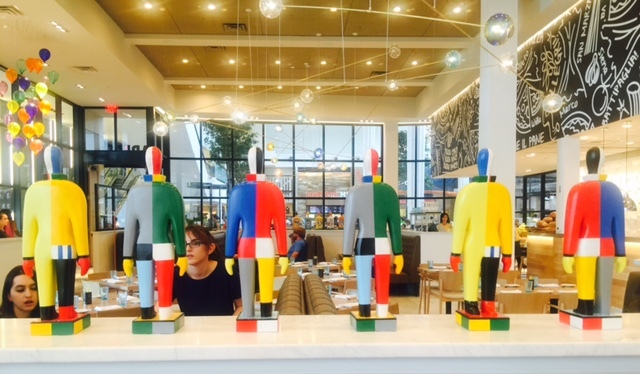 They had these multi-colored figurines lined up proudly on the ledge overlooking the tables and patrons. Each was different, but also the same. They had no faces, and were cut this way and that into segments of color (head, torso, butts, arms, legs, feet)...uniformity, but diversity.